Ace choreographer and filmmaker Farah Khan brought in her 50th birthday in a grand style with her friends from Bollywood. 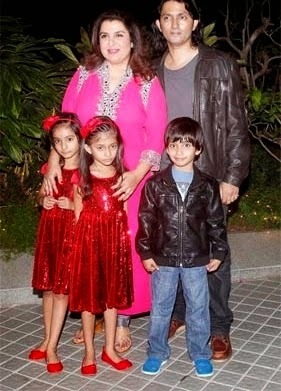 Bollywood's biggest stars gathered at director Farah Khan's apartment, to join her in celebrating her 50th birthday. Ranveer Singh and his lady love Deepika spent last evening partying away at director Farah Khan's birthday party. After an enjoyable evening, the two left the venue together along with Karan Johar and Manish Malhotra. Deepika stepped out walking hand in hand with her friend Karan, while Ranveer followed close behind with a yellow flower that he whisked out of a bouquet. The actor, who has played a hopeless romantic many a times walked close behind Deepika with outstretched arms, as if pleading with her to accept his small token of love. 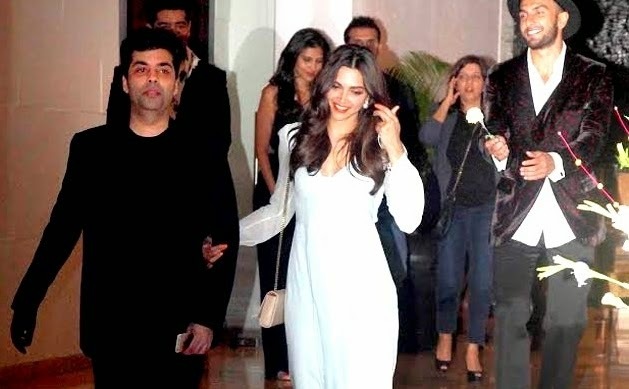 While he did manage to catch Karan Johar's attention, Deepika continued walking with a slight blush on her face. Without paying Ranveer any heed or even acknowledging his cute gestures behind her, the actress stuck close to Karan as they chatted away.